What's the difference between an Indoor and Outdoor Table Tennis Table? 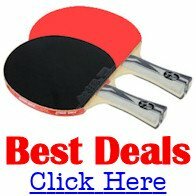 Top tips to help you choose your best table tennis table. In this six-part series, we're looking at how to choose the best table tennis table for YOU. With so many different tables to choose from, and with some tables costing a lot of money, it's important that you make the right decision. We saw in part one that the most important criteria was to know how your table will be used so that you know what type of table you'll need, and we also noted the official size dimensions of a table tennis table and how much room you'll need to play the game. So, the next important consideration is whether your table will be used indoors or outdoors. Indoor and outdoor tables are fundamentally different and therefore it's important that you understand the basic differences between them. 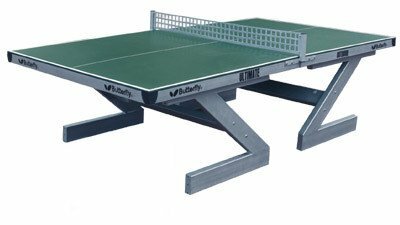 Do you need an indoor or an outdoor table tennis table? Which is best? Table tennis tables are available in many different varieties and although table tennis is generally played indoors, it can also be played outdoors. However, to play table tennis outdoors you'll need the right type of table and the right weather conditions. Unless you need a table solely for outdoor use, I'd always recommend that you buy an indoor table rather than an outdoor table. Indoor tables have a much better playing surface than tables designed for outdoor use ... but more importantly, if you want to play competitively, other venues will use indoor tables so you'll get used to playing on a type of table that other places are more likely to have. Some indoor tables can be used outdoors for short periods of time but you'll need to move them back inside after you've finished playing. However, I wouldn't advise this because if you leave your indoor table in direct sunlight even for just a short period of time, it could warp it. You'll also need the table to be robust enough to withstand any gusts of wind it may encounter, and cheaper models may not be sturdy enough to be taken outdoors. Additionally, if you want to play table tennis outdoors you need it to be dry, and just as important, it mustn't be windy as this will affect the flight of the ball. Windy conditions will also cause debris to be blown onto the table surface which can impede the bounce of the ball. Indoor tables need to kept at room temperature and not subjected to extreme temperature variations as this can also cause them to warp or for the top surface to come apart. So if you're intending to keep an indoor table in a garage or other storage area which isn't always at a reasonable temperature, you'll need to be aware that it could get damaged by changes in room temperature, and you may need to consider buying an outdoor table instead. However, if you really do need a table tennis table that'll be left outside permanently, you'll need to ensure that it's designed specifically for outdoor use. Outdoor tables are constructed differently and the best models have galvanised steel undercarriage, net and posts, and a weatherproof top surface - like this example from Butterfly. But if you want the most durable, weatherproof outdoor table available, then you'll need a concrete table tennis table. Concrete table tennis tables are made entirely of concrete and have a polished top surface. The best models will have a playing surface with similar playing characteristics to an indoor table, and are designed to last for 50 years or more. Some concrete tables are made with rounded edges and are available in different colours. Some also have personalised steel nets. If you're in the UK, Concrete Sports will be able to supply you with concrete tables. However, good quality outdoor tables cost considerably more than indoor tables, so I would only recommend buying an outdoor table when you have to leave it outdoors permanently. Cheaper outdoor tables are often made of aluminium, melamine, plywood resin or other types of resin to help them withstand the outdoor environment. Additionally, they usually have thinner top surfaces than indoor tables - although this helps you to manouevre them more easily. In general, the more you pay for an outdoor table, the better you can expect the water and rust proofing treatment to be, and the stronger the legs will be. You also need to consider the long-term cost of an outdoor table as they may only last a few years before needing to be replaced. other table tennis equipment here in my store. However, you still need to consider the same factors as you do when choosing the best indoor table, so let's now take a look at part three - what different types of indoor tables are available.